Inevitably at a certain point, a person (or their loved ones) needs to make the difficult decision that the time has come to stop driving. 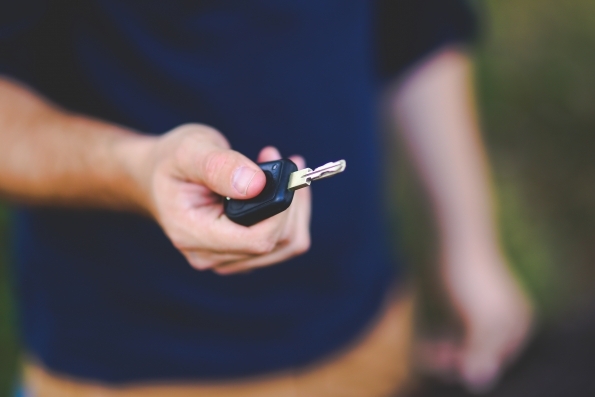 Giving up car keys can be very difficult, so the decision should be taken very seriously. Here are a few signs that you’re ready to pull over – for good. Frequent “close calls,” and almost crashing the car are scary and not worth the risk. Scrapes and dents from bumping fences, mailboxes or garage doors are indicators as well. Driving requires good vision and being alert. Trouble reading signs, traffic signals or delayed responses to unexpected circumstances put the driver as well as others on the road at risk. Multiple traffic tickets or warnings are not good signs of proper driving If a driver is frequently frustrated or often causes others to honk and complain, it’s time to consider if their skills have declined. Driving requires concentration. A person must be able to judge traffic gaps and merge onto highways. One must also be physically capable of maneuvering one’s body to check the rearview mirror. If any of these things as overlooked, the driver ought not to be on the road. Before giving up the keys, a senior citizen can register for a “driver improvement course,” in person or online. Sometimes a little review is all a person needs to get back behind the wheel. If however it’s determined that the time has really come to hang the keys on the hook for good, there is so much shopping that can be done online these days. A person could literally buy everything from groceries to underwear, gifts for special occasions and even pets without having to leave their house. While it might be hard to transition from being a driver to a passenger, one should feel good that they are making a decision that is not only beneficial to themselves but to the community as well.